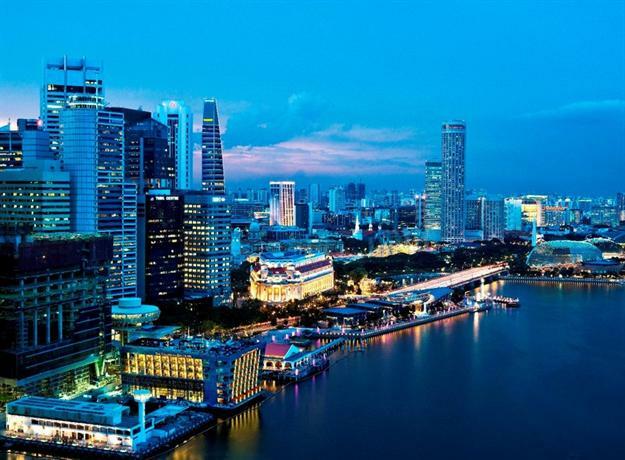 Singapore is an independent island city-state on the south of Malaysia. It’s an incredibly modern and thriving city, one of the world’s foremost financial centers, and has a buzzing nightlife and a culture that is really a melting pot from around the world. In addition to the modern skyscrapers and nightlife, Singapore has also preserved some of its heritage in the form of monuments such as the Buddha Tooth Relic Temple, which is said to harbor one of the Buddha’s teeth. In this article, we’ve listed out the top 10 luxury hotels in Singapore so that you can stay in a location and hotel that can supplement and enhance your experience of Singapore. The Marina Bay Sands is a large 23 storey high luxury hotel that is well connected to all the prime locations of the city. The neighborhood is within walking distance of convention centers, expos, and shopping centers. 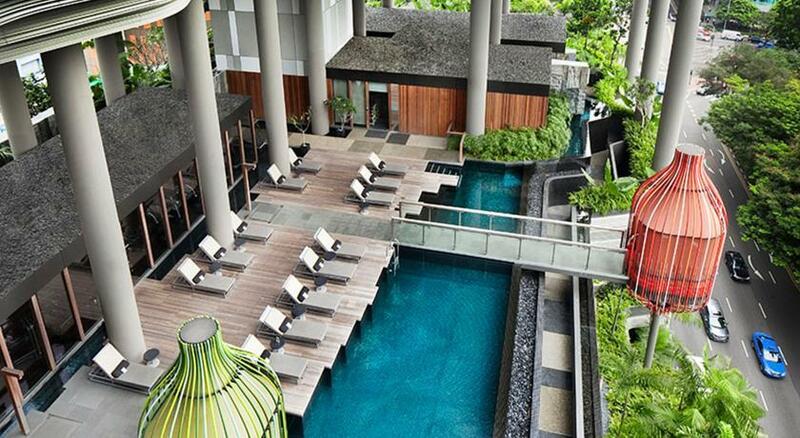 As such, this is an ideal hotel to go for if you’d like to be located in the midst of the life of Singapore. The business district of the city is a mere 10 minutes away by taxi ride. The Raffles Place MRT is just two stations away from Bayfront MRT, which is located at the Marina Bay Sands. However, Orchard Road is a little further than most other places, as it would take you about 15 to 20 minutes by taxi. The ceilings are wide and high, and the lobby generally feels quite bright because it’s surrounded by glass walls. However, the prime location of the hotel also makes it a location of prime interest for people and is usually quite crowded. The rooms are minimalist in style, however they're adorned with thick intricately designed carpets, and patterned wallpapers. The color palette preferred by the hotel is generally earthy and neutral in tone. If you go for one of the suites, you’ll find more ornate furniture and decor, with a lot of European influences. All the rooms feature floor to ceiling windows that look out over either the city, or the lush greens of the surrounding Gardens By The Bay. 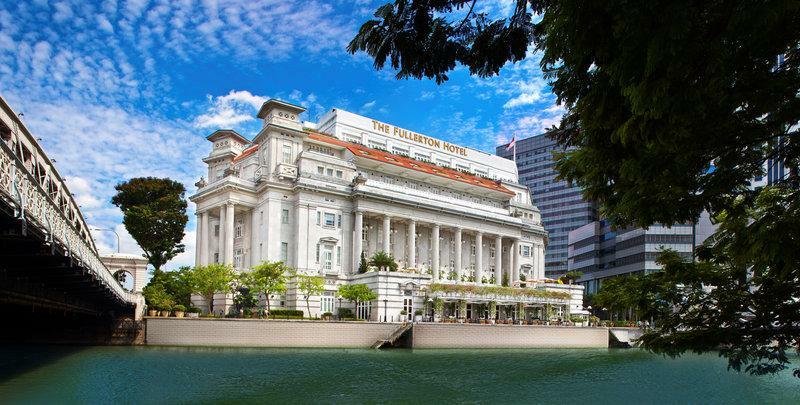 Ritz-Carlton is a luxury hotel in perhaps the most enviable of all locations in Singapore — by the F1 track, and within walking distance of Marina Bay which can be easily accessed via the Helix Bridge. The boutique hotel is iconic despite the fact that it is 32 storey tall, and as such it falls quite shorter than other hotels that have been coming up. The hotel embraces a very funky aesthetic, with the abundance of pop-art pieces by artists such as Andy Warhol. The rooms are all vast, sprawling, and luxurious, and prominently feature leather upholstery on furnitures, along with wooden panels and marble tiled bathrooms. 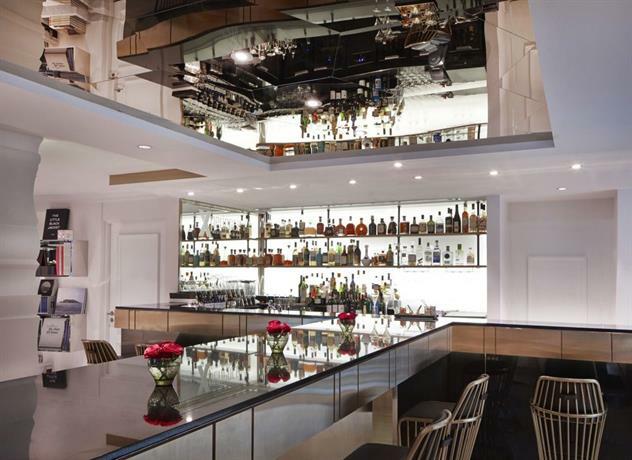 This boutique luxury hotel is present on the edge of Orchard Road, which is the city’s prime location for all the hip malls and shopping centers. Within 10 minutes of walking distance you’ll also find the Singapore Botanic Garden, which is one of the most lush and revitalizing spots in all of the city. If you’re a lover of art, then you’ll appreciate the fact that the hotel has a vast collection of artworks, including pieces by Picasso and Chen Ke Zhan. The artworks in the hotel have been amassed and lovingly collected over a period of 6 years, and they’re some of the most stunning art works in all of Singapore. If you can take an hour off your travels, you can roam around the whole hotel and view all the art pieces. If your pleasures are more material in nature then you’re likely to appreciate the fact that you can be driven around in Bentleys by chauffeurs, or that you can access the Remède Spa and other similar amenities. The rooms have been decked up in an Art Deco aesthetic with vast sprawling spaces, plush leather furniture, chandeliers, and silk patterned walls. Some of the rooms looks out at the lovely residential apartments of the city, whereas others look out at the hotel’s private tennis court and swimming pool. You can also ask your personal butlers for tea or coffee any time at all, and it’s complementary. This is a particularly nice touch. 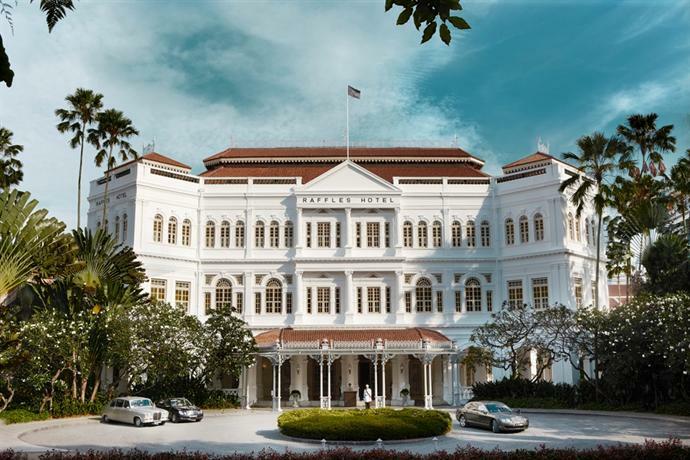 This luxury was built way back in 1928, and it’s one of the landmarks of Singapore featuring neoclassical architecture. The structure on which the hotel has been established used to be the General Post Office, the Exchange Room, a Library, and various other things. As such, this hotel is brimming with Singapore’s local history and heritage. 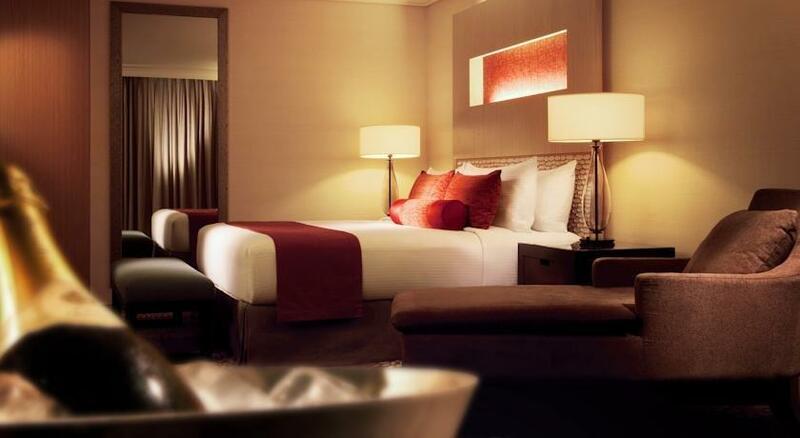 It features over 400 rooms, and is recognized by several outlets as one of Singapore’s leading hotels. 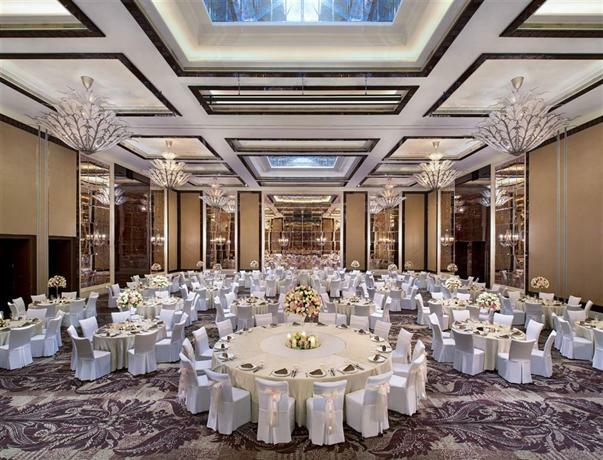 The Mandarin Oriental luxury hotel is located on the Marina Bay and within walking distance of the Marina Square Mall, which is one of the most popular malls in Singapore with plenty of charming restaurants and shopping outlets. You can also easily walk over to the The Singapore Flyer and Esplanade theaters. Prime locations such as Marina Bay Sands and the Business district of the city are within five minutes by taxi. And the Promenade MRT station can easily be accessed on foot thus connecting you to the whole city. This boutique hotel stands out from the rest of Singapore because of its classical façade and neoclassical leanings in terms of architecture and design, which gives it a wonderfully rustic aura as opposed to the glass and steel fringed aesthetic of the rest of this modern city. The lobby is dim-lit and offers a very brooding aesthetic, and it has a 15 meter long chandelier dangling from the atrium. There are 527 rooms in the hotel, and all of them feature views of either the ocean, the bay, or the city. The rooms are designed in a subdued yet elegant manner with a lot of grey and wooden color palette, along with linen and wallpapers that feature twigs and other gentle details. 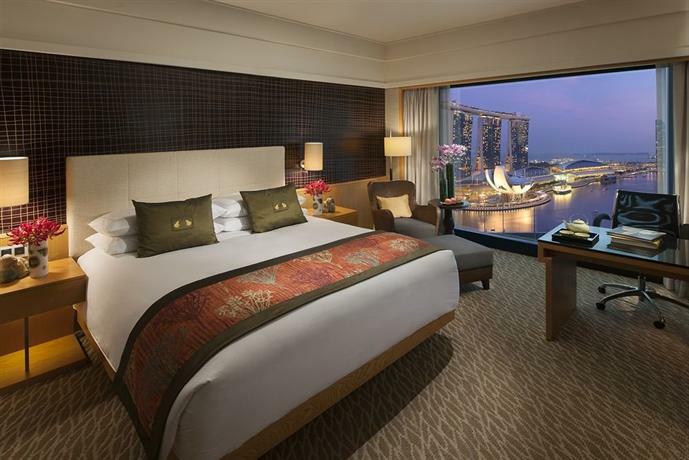 The Fullerton Bay is a six-storey luxury five star hotel that is perfect for those who want to be in a hotel that is well connected. At Fullerton Bay you can be located in the midst of the financial district of Singapore, yet be well within easy reach of the heady parties and nightlife of Marina Bay. The closest train station — Raffles Place MRT — is just a three minutes walk from the hotel, and thus you can go all across the city quite easily. The interiors of the hotel are quite grand, with large chandeliers hanging off the ceiling and tinkling against the gentle wind. This is truly a modern and contemporary hotel which seems like it’s made entirely of glass all around. This only makes it easier to enjoy the grand sight of Marine Bay beyond. There are 100 rooms in all, and they’re all considerably heavy on the eye, with strong rosewood accents, sleek leather, and a lot of chrome panels. Because of the floor to ceiling windows, all the rooms enjoy a nice view, either overlooking the Marina Bay Sands, or the Customs House and Clifford Pier, depending on the room you choose or are given. There are two Premier Bay View Rooms available as well, and as the name suggests they offer you a grand view from a private jacuzzi on the balcony. This luxury five star hotel has been constructed in a location so as to be smack right between both the business district and the Marina Bay Sands. As such it is perfectly suited for business travelers and tourists alike. The interiors are pretty rich, with furnitures made predominantly of dark wood, with fluffy ornate cushions, polished marble floors, and full-length glass windows. On the 32nd floor, the lobby features high-vaulted ceilings with dangling pendant lamps, further elevating the aesthetic beauty of the hotel. 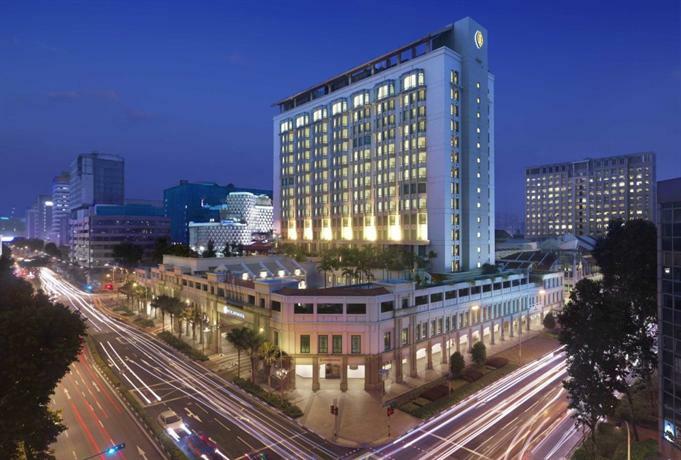 The InterContinental is often touted as yet another one of Singapore’s most prominent and vital sights. It is located near Parco Bugis Junction, which is a shopping mall created over the Bugis MRT station. As such the hotel is well connected to the rest of Singapore. Within a few minutes worth of walking distance, you can even find yourself in Orchard Road. The hotel favors a dense aesthetic as opposed to minimalism, with Peranakan ornaments on display throughout the halls and lobbies, and intricate wooden carvings seen across all of the hotel. The Parkroyal is a luxury hotel strategically placed so as to be accessible to a lot of the important landmarks of the city. It’s just in the vicinity of the Business district of Singapore, and within walking distance you’ll also find the Waterfront at Clarke Quay. If you don’t mind getting a taxi, you can also visit the popular sights like Marina Bay Sands, just a five minute ride away. In addition to that, the Chinatown MRT station is just a two minute walk from the hotel, and as such you can easily be connected to the rest of the city. However, the most amazing and unique aspect of the hotel is its concept. It has been designed as a “hotel in a garden” and as such all the floors are surrounded by lush and dense vegetation. The entire hotel has over 15,000 square-metres of greenery. Even the lobby of the hotel is surrounded by crystal pools of water. The outdoor pool comes with custom made cabanas that look like bright and vibrant birdcages. The superior rooms are vast, spacious, and allow plenty of natural light. Meanwhile, the windows and curtains are dense enough that the noise from the surrounding regions doesn’t penetrate through. The Conrad Centennial is a luxury five star hotel with fanciful amenities such as an outdoors pool, a well equipped indoors gym, and a vast and grand spa. 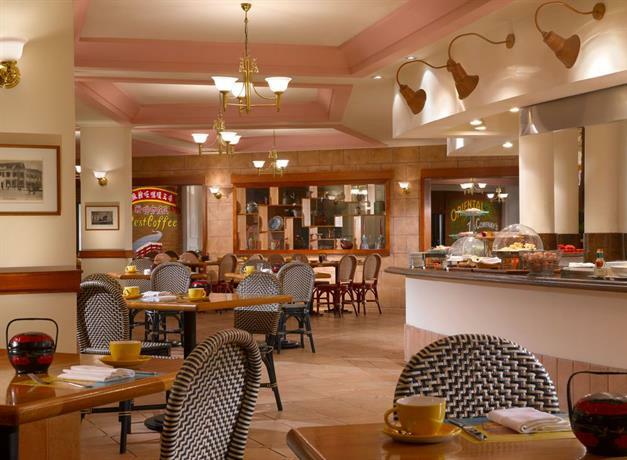 The hotel also features two charming restaurants for lovers of fine dining, and in case you’re in mood for some caffeine, you can go to the cafe as well. For business travelers, the hotel also features the availability of private chauffeur driven cars, a limo service, meeting rooms, and free availably of newspapers. As such the Conrad Centennial is a well equipped hotel with facilities for all kinds of travelers. The greatest attraction of the luxurious Fairmont five star hotel is the fact that it features 11 different restaurants with 4 charming bars, and all of them offer a different experience altogether. 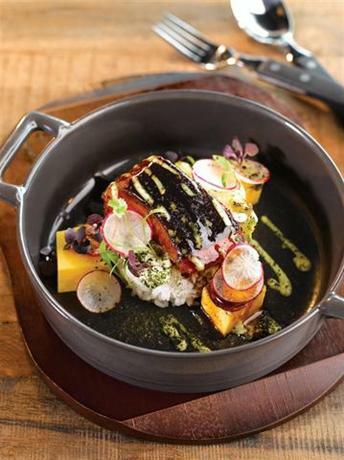 You can find Japanese sushi restaurants, American Pizzeria, a Cafe, or pretty much anything else to satisfy your gastronomic whims and delights. The hotel also features nightclubs, jazz bars, a steam room, and a bar by the pool. 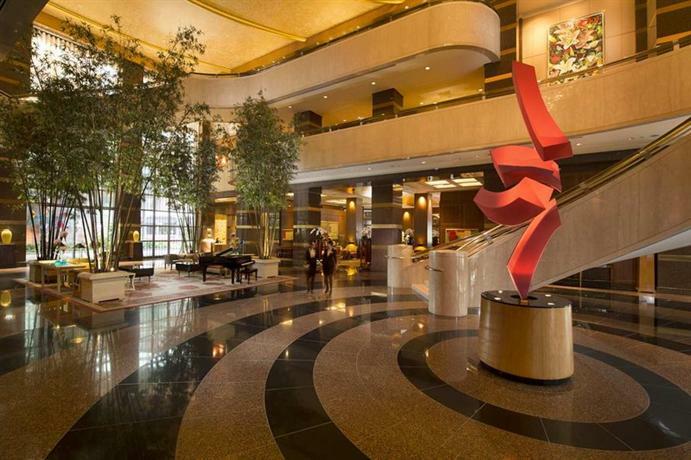 The hotel is also ideal for business travelers as it’s right next door to the Raffles City Convention Centre, which is the prime location for meetings, conferences, and conventions in the city. The hotel is also well connected as it’s located just above the City Hall station. This luxury hotel has been around since 1887, and is located in the 10-bungalow land at Beach Road. While it used to face the sea when it was first established, it now resides within the shadows of the skyscrapers that tower around it. Despite that, this is one of the most popular hotels in all of Singapore with charming palm and frangipani trees flanking it on either side. It’s also quite well situated, and within 10 minutes you can walk over to the City Hall MRT or the Raffles City Shopping Centre. The hotel has retained its old-world charm and all the details of the hotel, such as the grandfather clock and the neo-Renaissance period architecture, are all remnants of the hotel from back in the 20s and 30s. This luxury hotel probably has the best location amongst all the other luxury hotels in the city. It’s next to the F1 track so it’s a prime location for some grand entertainment. 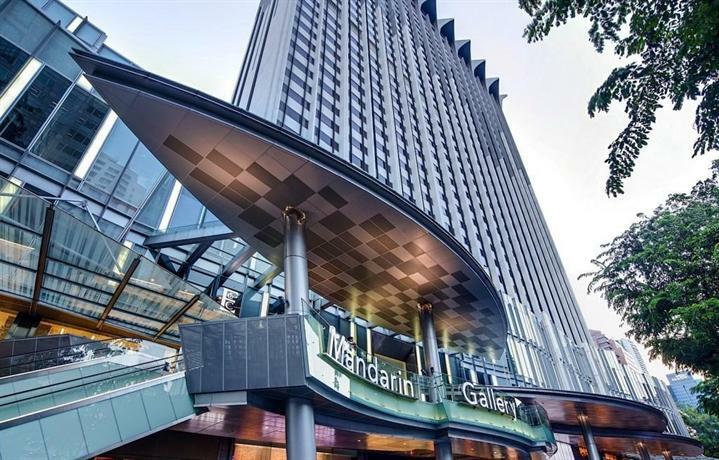 The hotel is also located over the City Hall MRT Station and as such you can be very well connected to the rest of the city, and if you’re looking to do some shopping, you can also walk to the Raffles City shopping centre. The hotel features an impeccable interiors, and you’ll find a vast number of people networking in the lobby at any given time of the day. As such, this is the hotel to be in if you’re looking to meet other people, and be well connected to the city. 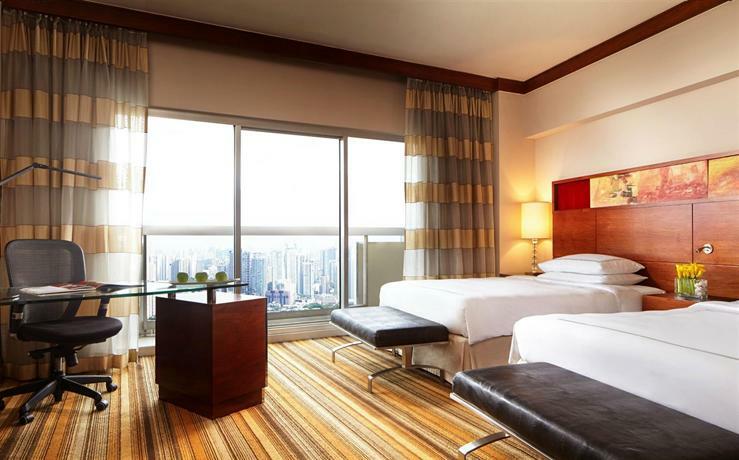 This trendy hotel is located in the midst of Orchard Road, and has two stations close by — Orchard and Somerset. The hotel is also quite well connected to some great shopping centers and malls. The hotel’s lobby is designed primarily using marble, and it features a vast and lovely crystal chandelier in its midst. The hotel is also really popular for its prime location and at any given time you’ll be able to find plenty of people in the lounge to mingle with. The hotel has 1077 rooms, which is a large number by any standards. These rooms are distributed between the Main Tower and the Orchard Wing, and they’ve been designed in eight different styles. The higher floors also offer you a clear view of Orchard Road, the skyline, or other grand vistas. This boutique hotel is located just ten minutes from stations such as Downtown MRT station and Telok Ayer MRT station, and as such it’s well connected, and it’s situated on Robinson Road so it’s very near other important sites such as the Raffles Place, Chinatown, Marina Bay. The hotel has been designed by Parisian fashion designer Karl Lagerfeld, and as such the doorknobs, bathrobes, and other items come emblazoned with his signature Lion’s Seal icon. The hotel has 134 rooms, and they’re all designed in a modern yet French style, along with the presence of art works depicting streets in Singapore.